There are some delightful cottages in Devon to rent for self catering beaks. There are thatched cottages galore and charming country cottages tucked away down quiet country lanes. Devon is the county of hedgerows, good beaches and gentle rolling countryside and cream teas. There are plenty of very good beaches. The north coast of Devon is blessed with some wide deep sandy beaches with plenty of room for everyone. It can be quite windy on the north coast and popular with surfers. Villages such as Croyde are well known surfing destinations. 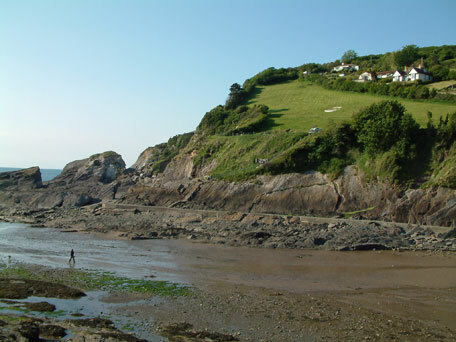 The south coast of Devon tends to be a touch more sheltered and offers both sandy and pebble beaches. Find a cottage in Devon that sleeps 2 and enjoy a peaceful break in the country or by the sea, or perhaps both. The coastal walks in Devon are very good if you would like to see the spectacular views. Book a hot air balloon trip over Devon during the summer months for a breathtaking view of the county.